Kathleen Furlong - The Kafafian Group, Inc.
Kathy has been with The Kafafian Group since January 2005. She works in TKG’s profitability line of business. Kathy processes client data and produces quarterly profitability reports. She is also involved in the setup of new profitability clients. Additionally, she gathers client profitability results to create peer reports. 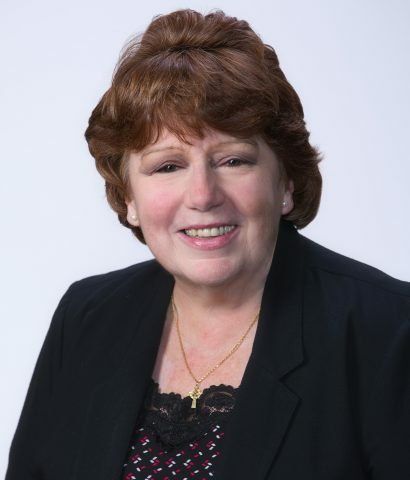 Kathy began her banking career in 1976 and her experience includes investor reporting and loan servicing at Trust Company of New Jersey (now Capital One); investor reporting and profitability modeling at Provident Bank (NY); loan servicing management at Montclair Savings Bank (now Bank of America); and retail branch and mortgage servicing management at Provident Bank (NJ). Kathy received her B.A. from Jersey City State College (now New Jersey City University) and a Master of Science in Management from New Jersey Institute of Technology’s School of Management. Kathy is a member of the Moose Fraternity, an international organization of men and women dedicated to caring for young and old, bringing communities closer together, and celebrating life. She is involved with the Women of the Moose on a local, state and international level.